noble_task has no other items for sale. Item Weight: 163g / 5.7oz Ideal For: Touring,Sightseeing,Sport match etc. Great ebayer, fast shipping! Thank you!! Binoculars are good for a 6 year old child. Returned-Not for an adult. Not what I wanted.. My fault.mine. they sent what I ordered. I haven't had the opportunity to use the minis in depth, but so far am very satisfied with them--for "beginning birdwatching"
Nice and small bit not too small its just great and for the price its just awesome I recommend it to everyone. I tried the binocular, it seems good quality, comfortable, lightweight. I am going to us it in my trip to Italy, especially to view nice ceilings in the cathedrals. So I will write additional review after using binocular. 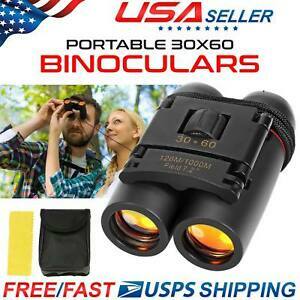 These binoculars are amazing I highly recommend them to anyone who wants great quality binoculars.